Brad Penny won the World Series in 2003 with the Marlins and was an NL All-Star in 2006 and 2007. 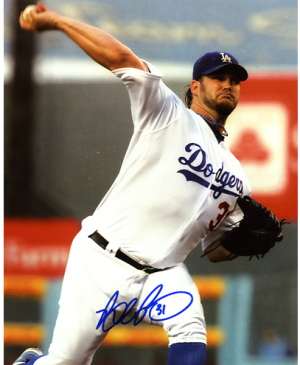 Brad Penny has hand autographed this Los Angeles Dodgers 8x10 Photo. Lojo Sports Hologram and Certificate of Authenticity from Athlon Sports.